Through the programmes it offers, the HEKS/EPER Regional Office Eastern Switzerland makes a vital contribution to social cohesion and the inclusion of disadvantaged people in society. Through its work of advocacy it promotes equal opportunity for all, irrespective of culture, religion, social status and gender. It also sets great store by the encouragement of harmonious coexistence between immigrants and local people. 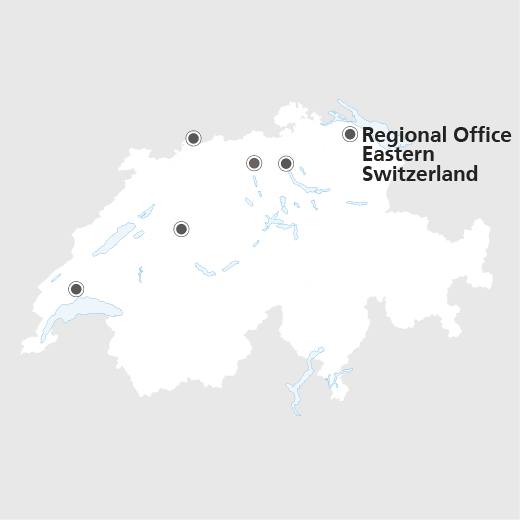 The Regional Office works closely with national churches, regional and cantonal authorities, as well as private institutions.